The idea was that I had an engine running for creating space games, and Novamunkees had this big universe all planned out for a big space RPG. 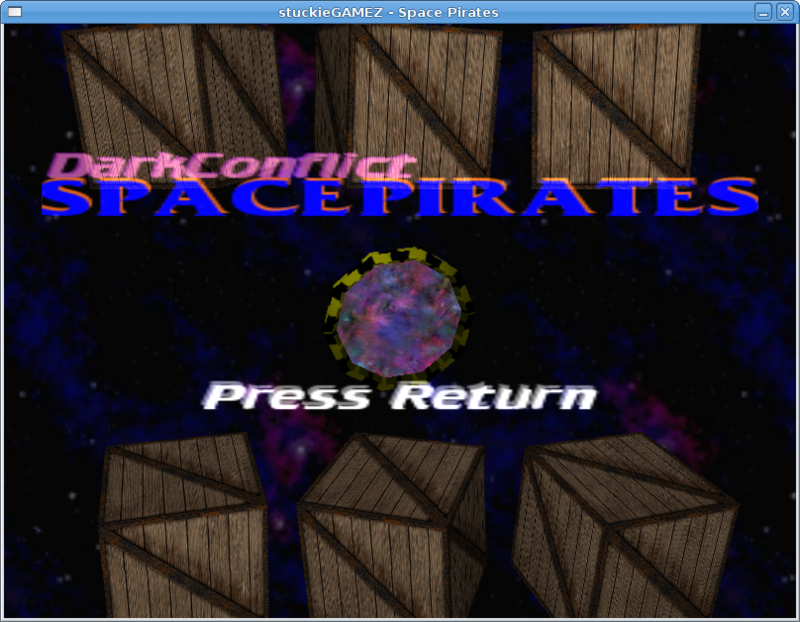 I decided, “what the hell,” and we started to collaborate on the Dark Conflict project – the first one being a 3D Elite-style RPG given the codename “Space Pirates” due to it being what I already called the engine demo. After getting the majority of the engine working to the point where it would be usable for what we were planning, most of the interest was lost. 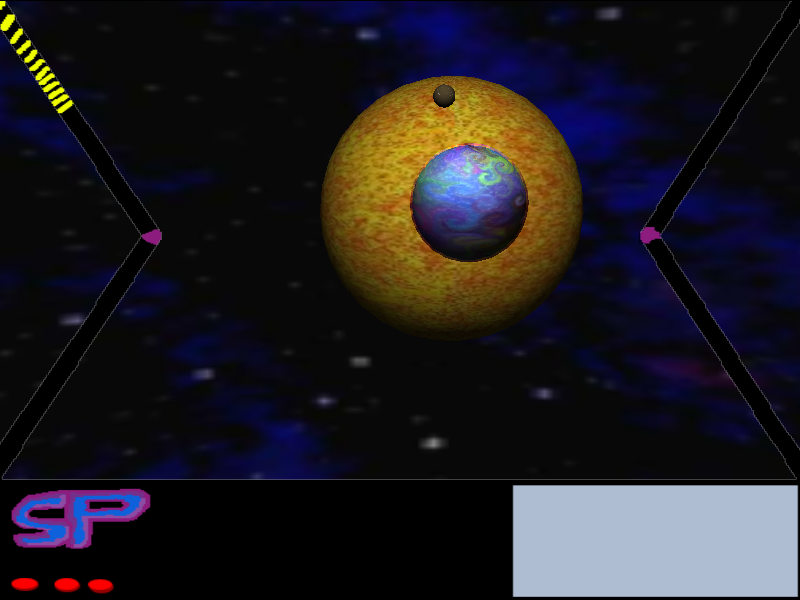 Amusingly, at this time, I had also just finished work on the Web War engine, so we thought rather than waste this rather spiffy universe that’s been created, why not create a web-based RPG? Unfortunately, I can’t even remember the codename given to this version and all I have remaining, is a few planet and ship sprites which BaBs sent me for testing with! Of course, the Space Pirates here is a spiritual successor to all this. However it still fits within the same universe, roughly. 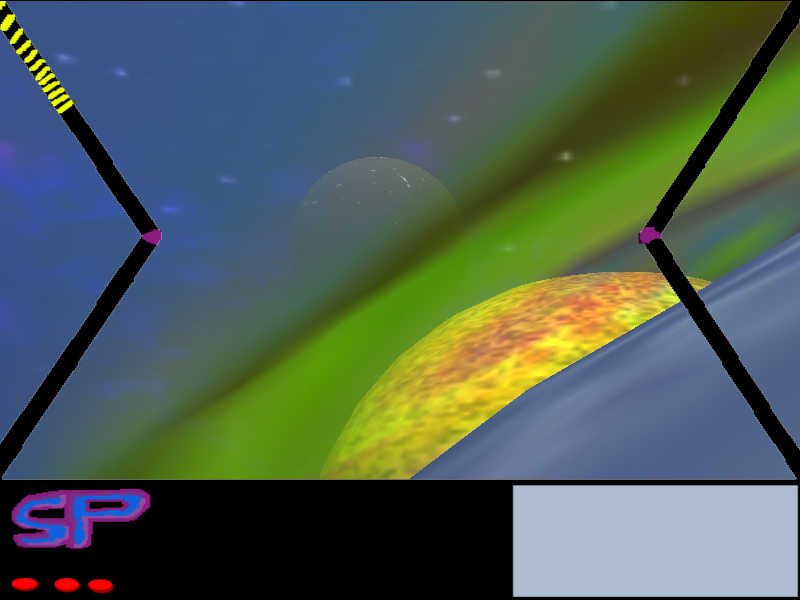 It was created for the OpenGL Coursework in Second Year and featured rather fancy quaternion camera system – which took so long to figure out – which could be attached to pretty much any object to follow (IE: mounted on model) or track (IE: watch the model from where ever the camera currently is) with complete ease. Was rather proud of this as I’d written it myself to learn quaternions for the Maths exam. The download contains a Windows binary and a Linux binary plus full source. Source includes a CodeBlocks project file. Linux people will require SDL, SDL_mixer, SDL_image and all associated libraries for them.. as well as OpenGL working properly. Graphics were created using Music was created by Kinetik – used with permission. Original project pretty much died off and I’ve not really got any contact with the Novamunkees anymore. In terms of Space Pirates, it was done for coursework and passed, so it’s complete as far as that’s concerned. Will I go back to it though? Definitely, though in a newer engine as this was very early SGameZ Engine and created alongside Griblade at the same time.